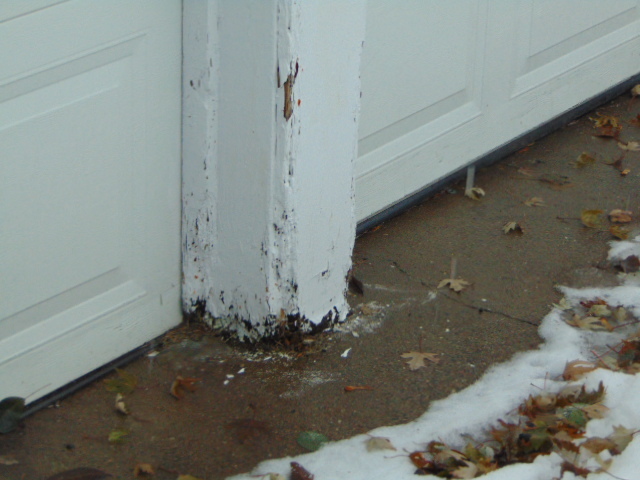 "How to Perform a Garage Inspection Course"
describe to clients defects observed at a residential garage inspection. And, in keeping with InterNACHI’s commitment to Continuing Education, this course is open and free to all members, and can be taken again and again, without limit. 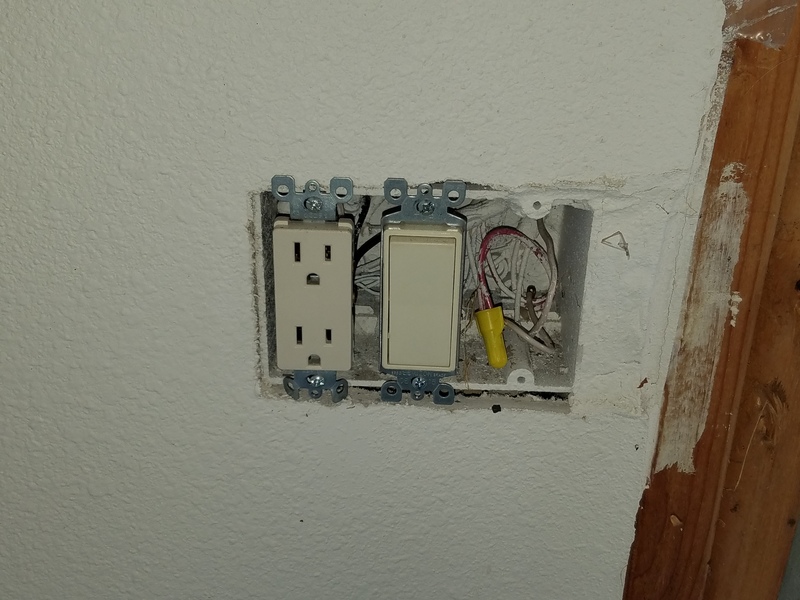 In this garage there was a 120V circuit, however, it was not GFCI protected. It is a recommendation in my area that all out dated garage or exterior outlets be updated to GFCIs. It is also recommended a licensed electrician perform the update. A garage firewall is understood to be composed of drywall at least 1/2" in thickness on walls and 5/8" X on ceilings above living spaces. However, on almost all inspections the thickness of the drywall will be difficult to determine. In the attached picture, the trim between the two overhead doors on the exterior has damage from moisture along the bottom third. I commonly see this and treat it as general maintenance as long as there is no9 framing dmage. I chose to read the article on garage inspection. It mentioned improper bearing point issues such as deck screws being used at the truss hangers, nails bent over, and plywood gussets on the trusses which suggests alterations have been done. The firewall from the garage to the home was compromised by having the dryer exhaust terminate in the garage. Modern safety standards dictate that there should be a fire rated wall between the living space of the home and the garage. 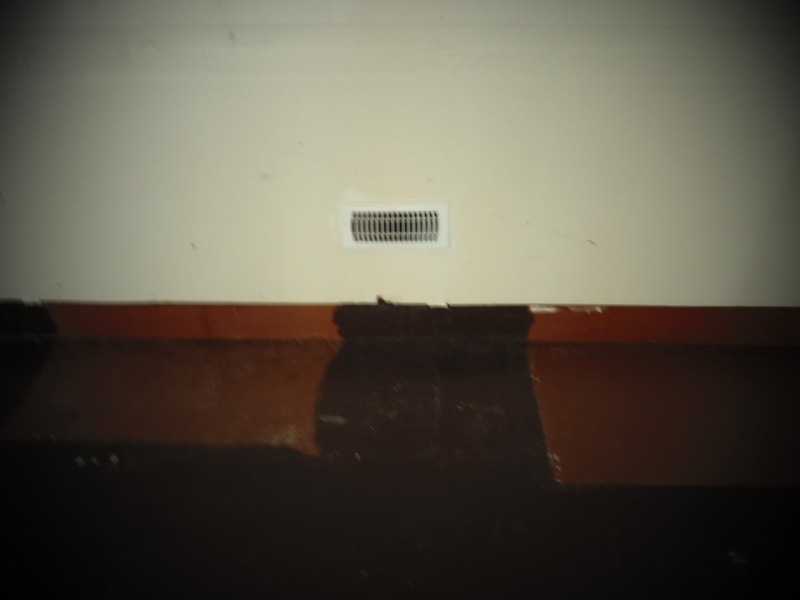 The inspector recommends that correction be done by a qualified contractor. There was a mud room/ laundry room off the garage. 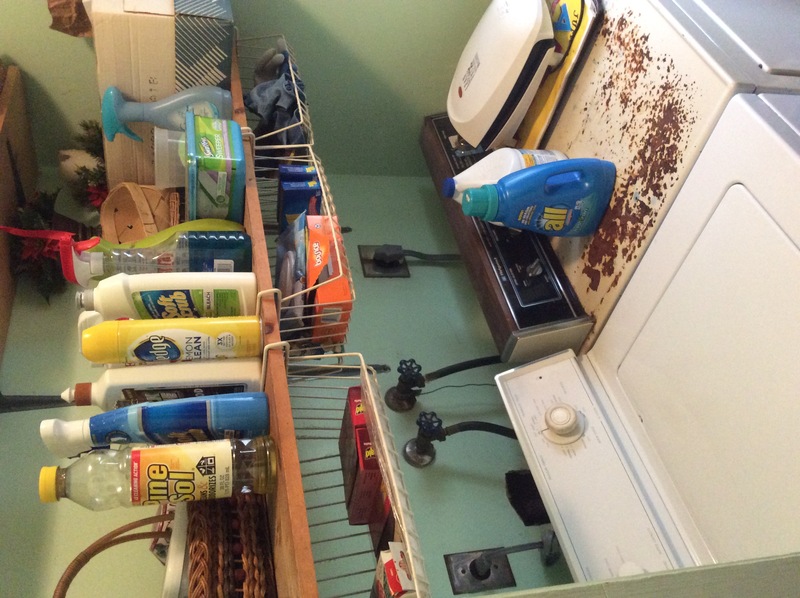 The washing machine was connected to a non GFCI rated receptacle and was in close proximity to a water source. All outlets in a garage, laundry room, bathroom, kitchen or unfinished basement must be GFCI protected to avoid a shock hazard. 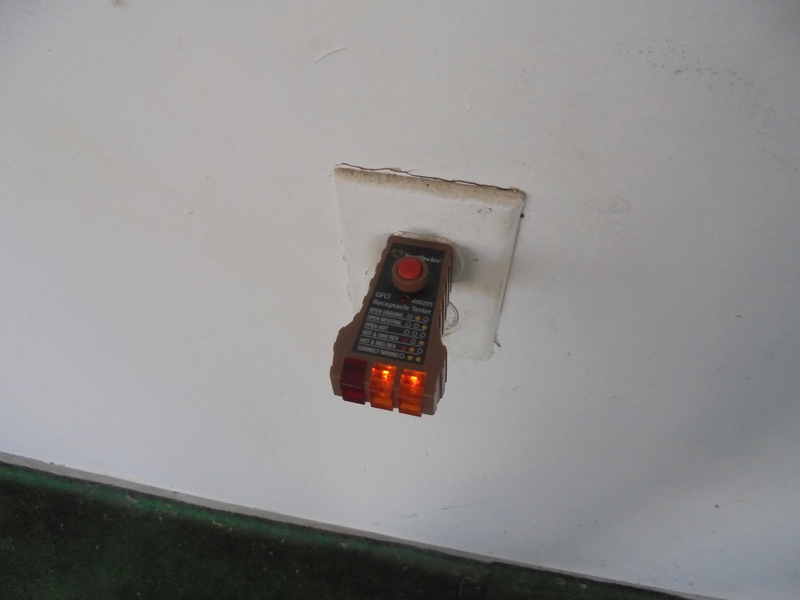 Recommend licensed electrical contractor to repair as necessary. It is important to keep gutters clean and free of leaves and debris.Gutters are designed to divert the flow of water off the roof and away from the foundation. It is essential to have the gutters cleaned regularly or as needed basis namely at the end of the fall in the beginning of summer. Trusses should not be altered without an engineers approval . Trusses should bear on a wall and and not hoist hangers. SIf joist hangers are used the should be the appropriate size and attached with the appropriate fasteners (not screws). On a recent mentored inspection I came across a supply register from the first floor heating system in the garage wall,the seller argued that it had a fire damper installed and was therefore legal.I explained that the reason they are not allowed was for transmission of fumes from the garage to the living space such as carbon monoxide,gas fumes from a lawn mower or spill in the garage.As in this course,the living space system can not supply or return air to or from the garage for the reasons I stated.My mentor informed him that I was correct and recommended that it be removed and the hole be fire stopped. Inspection Reports: Present or Past Tense?As a new inspector I have noticed that some of the other new guys do their reports while they inspect with handheld devices and most do the report in present tense.I agree that it should be past tense,it gives the impression that what we report was actually done before the report was written.As a contractor all of our proposals were written in present and even future by explaining what we were going to do as apposed to what we have already completed.My reports are in past tense. 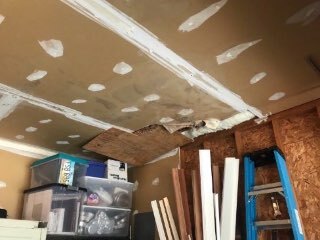 The garage ceiling was damaged under the area of the master bathroom. Since there is a living space above, the drywall should be at least 5/8 inch thick to help reduce the spread of fire. Recommend evaluation and repair as necessary. The seams between drywall sections should also be better joined to increase the safety. C.L.U.E. stands for “Comprehensive Loss Underwriting Exchange” and it is a database of claims that enables insurance companies to access consumer claims information when they are underwriting or rating an insurance policy. It stores data for the past 5 years. It is valuable because if informs buyers and insurance companies of risks and claim history. russes cannot be altered in any way without the approval of a structural engineer. When you see plywood gussets added at truss connections like these triangular gussets, then an alteration of some sort has obviously been made and you have to recommend evaluation by a structural engineer. This is a picture of Type X Gypsum Board, which is 5/8 of an inch thick. This fire rated variety of sheetrock is used to separate the garage from habitable living spaces. It’s important that Type X Gypsum is used correctly. The two main concerns shown in the garage in this article were the incorrectly altered trusses and the incorrect bearing points. This garage could have caved in at any moment. The trusses were altered incorrectly, and they were bearing on hangers that were not rated for the load. Also, incorrect fastens were used - it looks like deck screws were used. I’ve attached an image of the extension spring of an automatic garage door opener. The extension spring in the photo lacks the required safety cable running through the center of the spring. The missing cable creates a safety issue, if the spring were to bring under tension the spring could whip anywhere. I chose to read an article regarding asbestos cement siding. Popular between 1940’s through the 1970’s when it was banned. Asbestos cement has many beneficial qualities, not the least of which being is its fire retardant qualities. However, the health risk associated with the product caused it to be banned in the 1970’s. 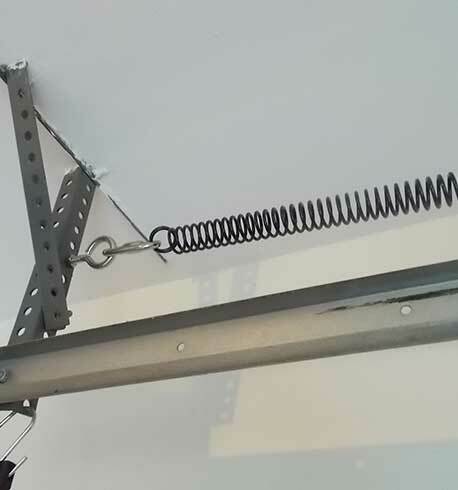 I learned that garage door springs must be contained in a containment system that keeps the spring from flying across the room if it was to break. 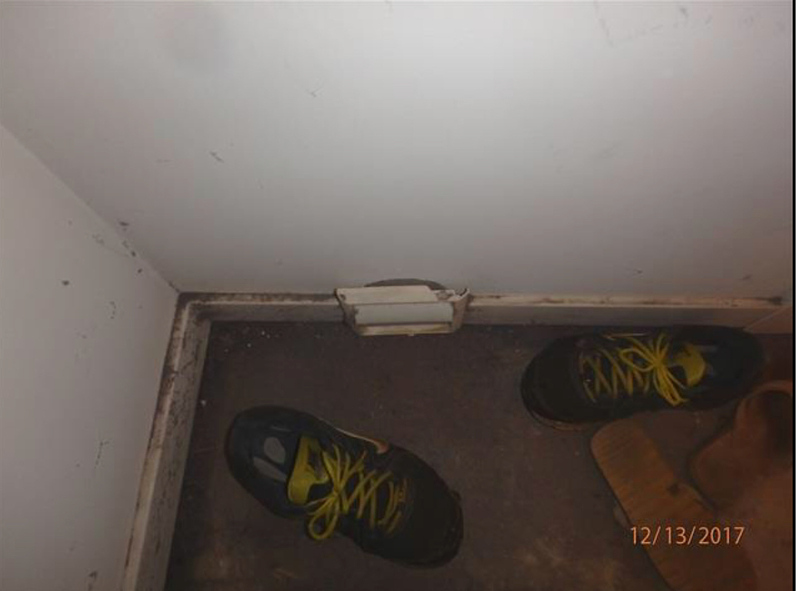 Also it doesn’t sound like a good idea to put a solid piece of wood under the door to test it as it may damage the door.